3. Colors: Clear, Ultra clear, Euro bronze, golden bronze, Blue, ocean blue, dark blue, light blue, F green, light green, dark green, Euro Grey, dark Grey. Bulletproof glass made of two or more pieces of glass sandwiched between cohered layers of PVB film under high pressure and temperature. Our products are durable and liable through our 18 years of expertise. Based on the different production methods, laminated glass is categorized into dry and wet laminated glass. The outer layers of the laminated glass are comprised of either ordinary, tempered or semi-tempered glass. Some of the production progress are as follows: for dry laminated glass production, adhesive material is embedded between the glass layers and a durable film is placed, then apply heat and pressure to merge the two components. For wet laminated glass production, adhesive is poured onto the glass surfaces and hot light polymerization is introduced. Following this stage, the now slurry compound is formed and placed for curing. Currently, the most common production method is dry laminated glass, where PVB film is used as the interlayer. 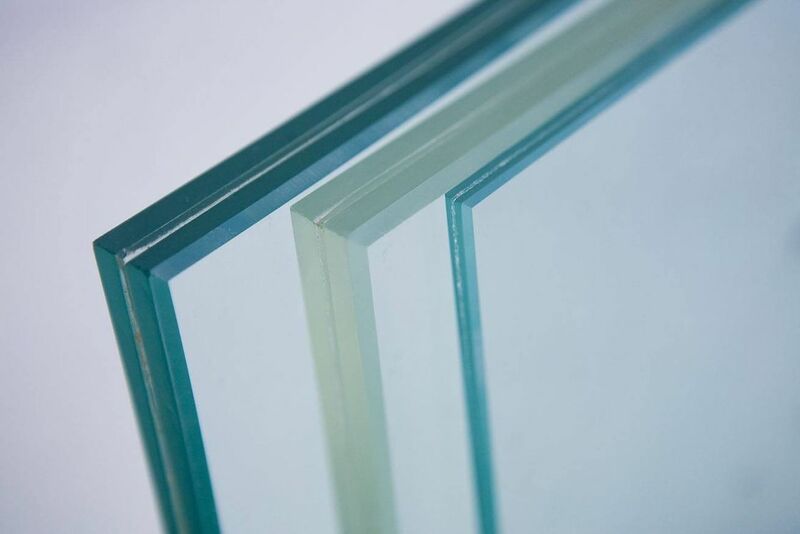 Laminated glass performance: high shock resistance and security protection performance, also sound insulation, anti-UV, anti-earthquake, anti-typhoon, anti-theft, anti-impact, bulletproof and other functions. Our products have passed the national CCC compulsory certification, in line with GB15763.3-2009 national standards. We produce bullet-proof glass inspection by the public security sector, in line with F79-class safety performance. anti-theft, anti-impact, bulletproof and other functions.